What is involved in being a freelance coach and what strategies might be used to ensure a healthy life work balance? What strategies might be employed to maximise opportunities to use and publicise coaching skills amongst appropriate audiences? What lessons can be learned from starting up your own business? 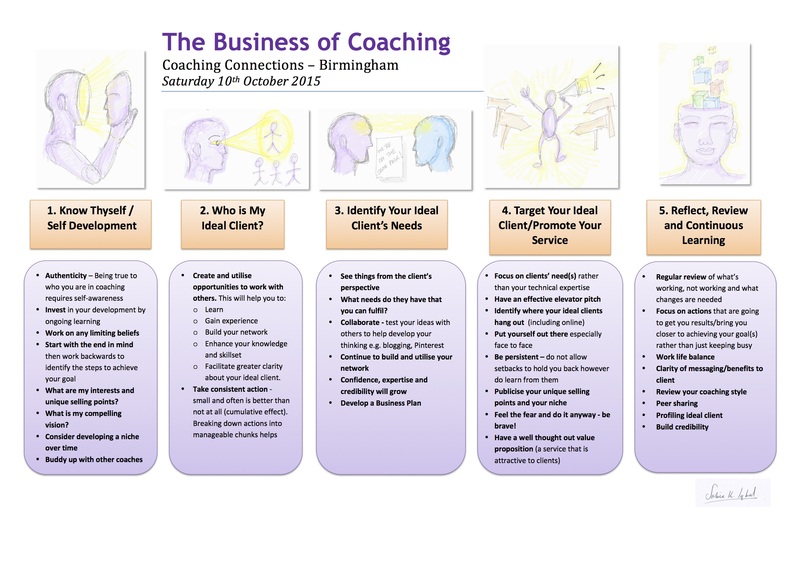 What approaches have been effective in growing coaching businesses and opportunities? What experiences can be drawn upon and shared amongst our pool of coaches? Take a look at blog posts from Sarah Robinson who has recently launched a new website with a blogging section. She is blogging about the topics related to career and job search, with a view to attract interest and potential customers for her career coaching business. Great work Sarah!